This year, the Retromobile associated auctions brought a lot of buzz, and had quite a few amazing Porsche lots available for enthusiasts and collectors to bid on. Some great closing bids were achieved by some excellently prepared cars. A few surprises, unfortunately didn't meet reserve, and a few even sold for far below their expected bid totals. Here, we will list every single Porsche lot from the week of sales, and give a rundown of the most significant sales. As per usual, RM Auctions brought the very highest of quality in Porsche lots to their Paris auction, including three of the most iconic racing cars Porsche has ever produced. If I'm not mistaken, the Lot 28 Porsche 904 has taken the new high record for 904 sales, eclipsing 904-056's sale last summer in Monterey by just over $100,000. While it was a high watermark price for 904s, I still would call it an excellent buy, as this is the only car known to have been sold in Irish Green, and is absolutely striking in this shade. As we predicted last August, 904 prices will only continue to rise. The two-fold surprise of this auction has to be the 3 million dollar plus price tag on the 80's icon 956, and the no-sale lot on the 70's icon 917. The 956's price is primarily due to its involvement in the 1982 Le Mans podium sweep for Porsche, coming third with Barth, Holbert, and Haywood aboard. A historically significant car in excellent shape, and the new owner must be a happy chap. The 917/30's no-sale, has to be down to the fact that it never turned a racing lap. That it never had its pedals pressed by the late great Donohue surely contributed to the fact that it didn't meet reserve. An exemplary car, simply lacking provenance. The previewed 356 Carrera GT Speedster was withdrawn from this auction. All RM Auctions are shown in US Dollars without buyer's premiums. While I was not at the auction in person to inspect the cars that crossed the block, the prices that Bonhams achieved seem just a bit on the low side to me. 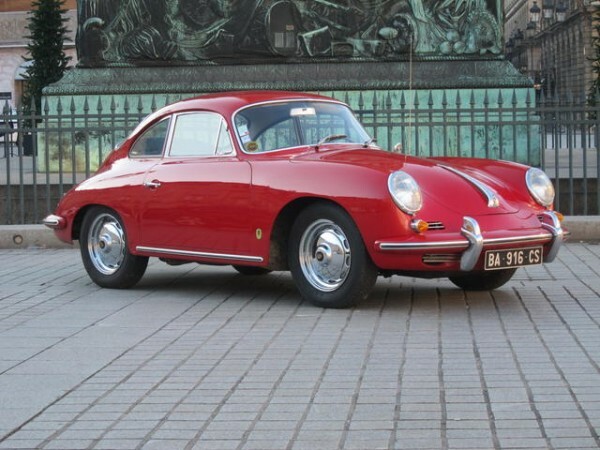 In particular, the 356B T5 coupe seems at least 10% below market value these days, and even the 911T Coupe is a smidge below what similar cars have been selling for. The no-sale achieved by the Jagermeister Brun Motorsports 962 was a big surprise, and the seller must be disappointed. All Bonhams auction results are shown in US Dollars with buyer's premiums. Interestingly, the premier Porsche sale on the Artcurial side of the fence has been shrouded with a little mystery. This 2.7 RS was an original French-delivered car, and was used throughout the 1970s as a rally car, winning several events. A few collectors in the know have indicated some apprehension regarding the car's engine stamping, believing it to have possibly been restamped. This apprehension could have been a factor in the slightly below average final hammer total. 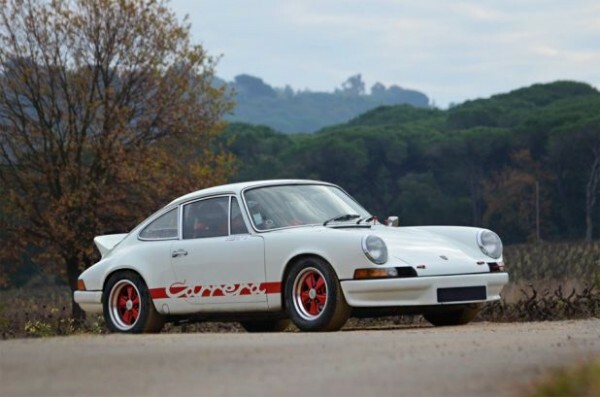 While the big sale 2.7 RS didn't quite manage to bring top dollar, the other three Porsche lots were in the higher end of their respective markets. The 912, while not the highest sale we've seen for a nice short wheelbase 912, was still well above average. The 912 market is rapidly catching the long hood 911 market, so invest in one as soon as you can. The 1973 911S, however, was among the highest we've ever seen for a late long hood car. Generally the big numbers are being brought in by the 1967 911S, but this 1973 fetched quite a lot. All Artcurial Auctions results are shown in US Dollars with buyer's premiums. Will Any Of These Historic Porsches Set Records During RM’s Auction Upcoming Auction In Paris? I just do not get it. Porsche is the most successful race car on this planet yet Ferrari commands the really big money. $2,000,000+ for a 917/30? That is the fastest race car ever built, and in it’s day trounced EVERY THING that came up against it. A 962 that did not sell? How often to these race cars come up for sale? What is wrong with the idiots at the auction? There are thousands of Corvettes out there and some of them bring higher prices than successful Porsches. Has ANY race car won more races than Porsches?